Many people may have heard of unmanned cars, but not many people know an unmanned bus was also born recently. 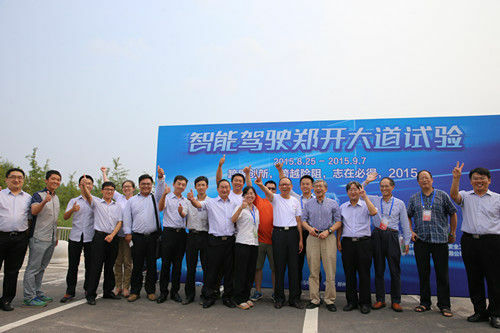 On August 29, China’s leading bus maker, Yutong rolled out the world’s first driverless bus, which successfully completed its trial operation on the intercity road from Zhengzhou to Kaifeng. With a distance of 32.6 km, the intercity road from Zhengzhou to Kaifeng has26 traffic lights in total. Despite the busy traffic, Yutong driverless bus successfully completed a series of highly complex driving acts, such as automatic lane change, overtake, and responding traffic lights. 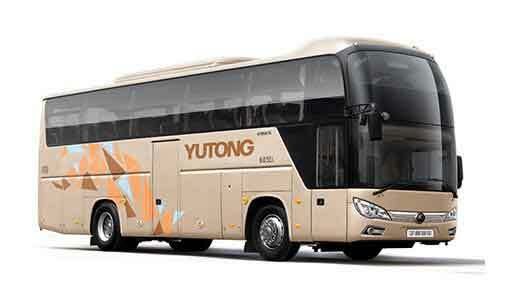 Without any human assistance, the bus arrived at its destination with its highest speed reaching 68 km/h. According to some experts, the much improved active safety standard is the biggest advantage of unmanned vehicles as they are very likely to eliminate all kinds of traffic accidents. 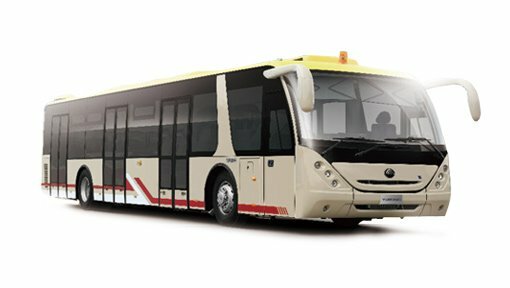 After three years hard work and a thorough research of the latest automatic driving technologies in the world, Yutong together with a few well-renowned unmanned vehicle experts such as Li Deyi, an academician from Chinese Academy of Engineering, have succeeded in developing the world’s first driverless bus. 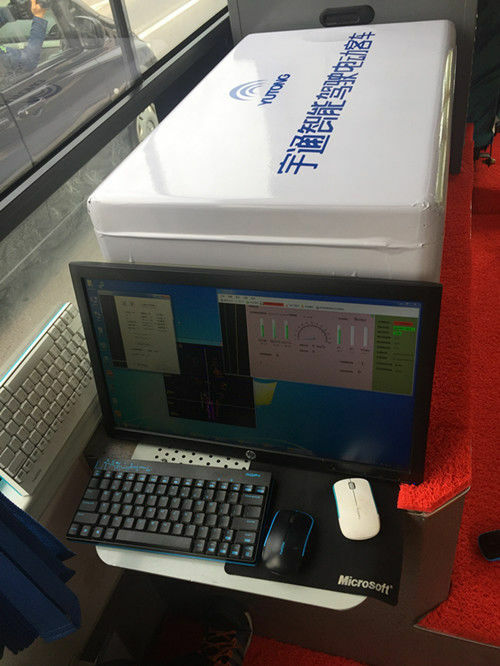 Its intelligence driving system is composed of three parts, namely intelligence master controller, intelligence sensing system and intelligence control system. The three parts, acting respectively as the bus’ brain, eyes & ears and limbs, work in an extremely coordinative manner to help the vehicle realize smooth operation without any human drivers. 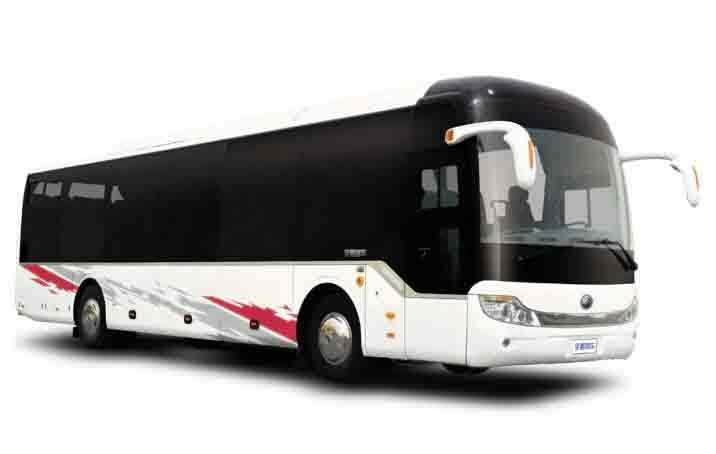 Take the bus’ intelligence sensing system for example, it boasts laser radar and cameras on four sides of the vehicle. Thus, it forms a panoramic view and suits driving needs on various complex road conditions. In addition, the vehicle’s driving system is controlled by its master controller, which sends out orders for acceleration, deceleration, and stop before the vehicle is passing a traffic light. 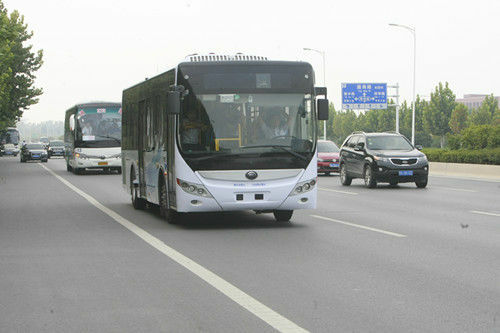 In case of emergencies, Yutong driverless bus will go through varied braking mode accordingly so as to avoid collision. 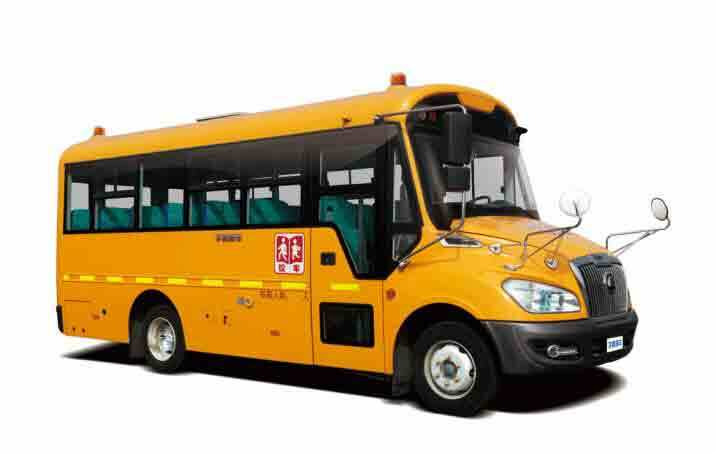 Its laser radar detects the relative speed and distance against other moving vehicles , then it processes the information and orders the bus to drive in the safest manner. As is known to all that good driving habits can effectively reduce energy consumption. 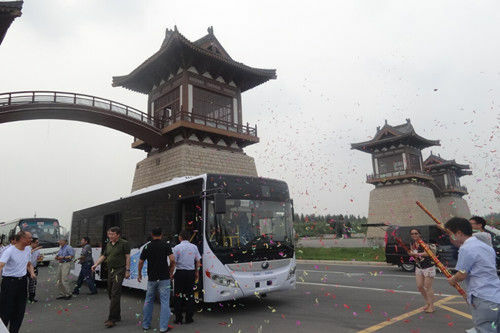 Yutong driverless bus has also acquired the best driving skills that can only be attained by years of experience of an attentive and careful driver. Thanks to this, it boasts competitive environmental friendliness and reduces the vehicle’s energy consumption to the minimum. 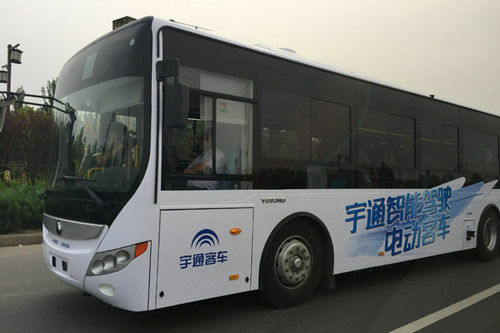 According to Tang Wang, Deputy General Engineer from Yutong, the company’s driverless bus will still go through another three development stages, namely basic movement control, driving on average road conditions, and driving on race lanes. Currently, some auxiliary driving technologies have already realized commercial applications. Currently, the research and development of automatic driving technologies are jointly conducted by vehicle producers, universities and related research institutes both at home and abroad. 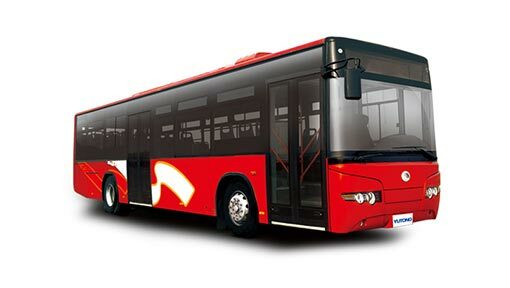 Other than five other Chinese vehicle producers involved in the unmanned car area, Yutong is undoubtedly China’s pioneer in the bus industry to develop driverless bus technologies.